, one arm reaching out to Asia, the other to Europe. Through the city’s heart, the Bosphorus strait, courses the waters of the Black Sea, the Sea of Marmara and the Golden Horn. The former capital of three successive empires – Roman, Byzantine and Ottoman – today Istanbul honors and preserves the legacy of its past while looking forward to its modern future. 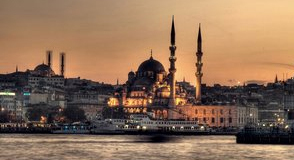 Indeed, it is Istanbul’s variety that fascinates its visitors. The museums, churches, palaces, great mosques, bazaars and sights of natural beauty seem inexhaustible. As you recline on the shores of the Bosphorus at sunset, contemplating the red twilight reflected in the windows on the opposite shore, you understand, suddenly and profoundly, why so many centuries ago settlers chose to build on this remarkable site. 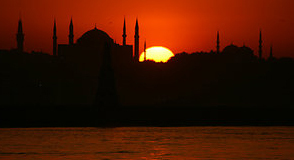 At times such as these, you feel that Istanbul is truly one of the most glorious cities in the world. 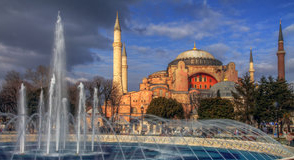 Our clients can find on that site general information about ephesus tours istanbul, transfer ephesus from Istanbul, istanbul tours, ephesus tours turkey, ephesus day trip, ephesus trip half day… Please do not hesitate to contact us for much more information about ephesus tours from Istanbul.